The flow of a Jeffrey fluid is extended to include a Newtonian fluid through a vertical symmetric channel with peristalsis under the assumptions of long wavelength and small Reynolds number. The model is applicable to study the behavior in physiological systems. The velocity field, stream function, interface shape, pressure rise (drop), and frictional force at the wall over a cycle of wavelength are obtained, and the results are shown graphically. It is observed that the variation of interface shape yields the thinner peripheral region in the dilated region with increasing Jeffrey parameter λ1 and thicker peripheral region in the dilated region for low viscosity ratio. Saravana R., Hariprabakaran P., Hemadri Reddy R., Sreenadh S.: Peristaltic Flow of a Bingham Fluid in Contact with a Jeffrey Fluid. 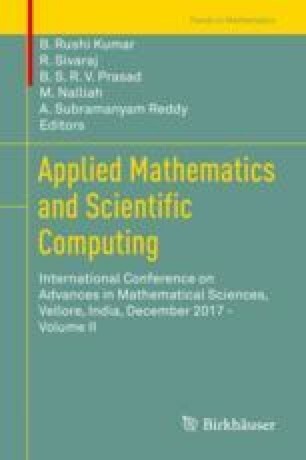 Applications of Fluid Dynamics, Lecture Notes in Mechanical Engineering, (2018) Springer, Singapore. https://doi.org/10.1007/978-981-10-5329-0-37.